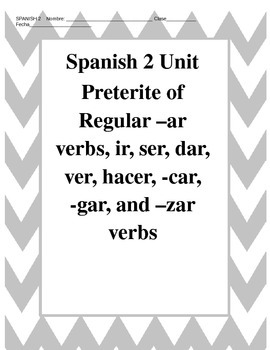 This is a Spanish grammar unit consisting of the preterite of regular -ar verbs, ir, ser, dar, ver, hacer,as well as preterite of -car, -gar, and -zar verbs. There is also a few vocabulary words associated with traveling. 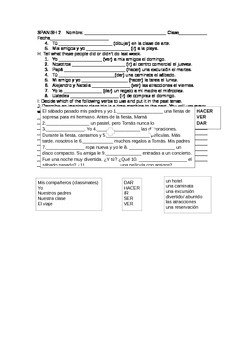 This unit is also great if a student is homebound or needs their make up work from being out a while. 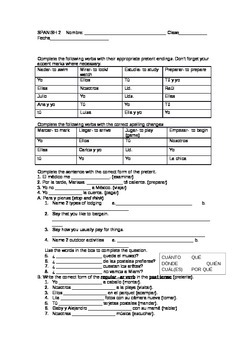 The beginning are the guided notes the students will need in order to complete the rest of the unit. This unit goes great with the postcard project I also have in my store!